Update May 21, 2015: Please see the awards and new book reviews below. 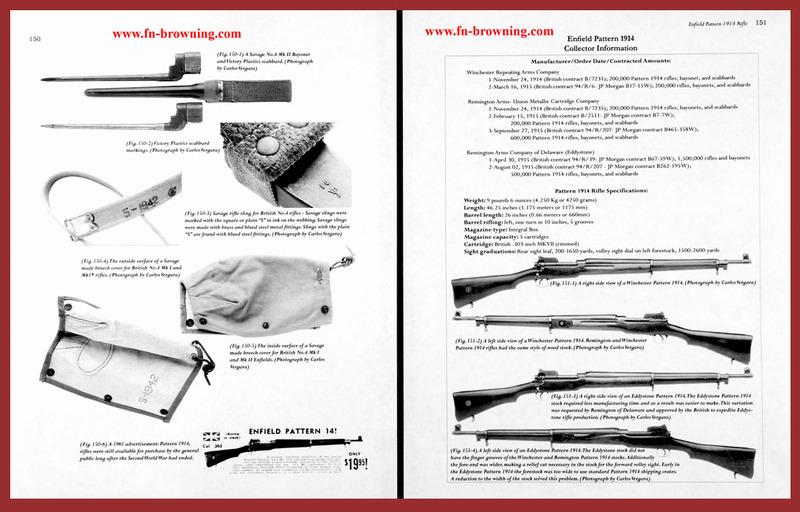 NRA members, please use coupon code NRA at checkout for the American Rifleman offering. Signed books are available at no extra cost. Sample pages, awards, book reviews and content index have been added below. 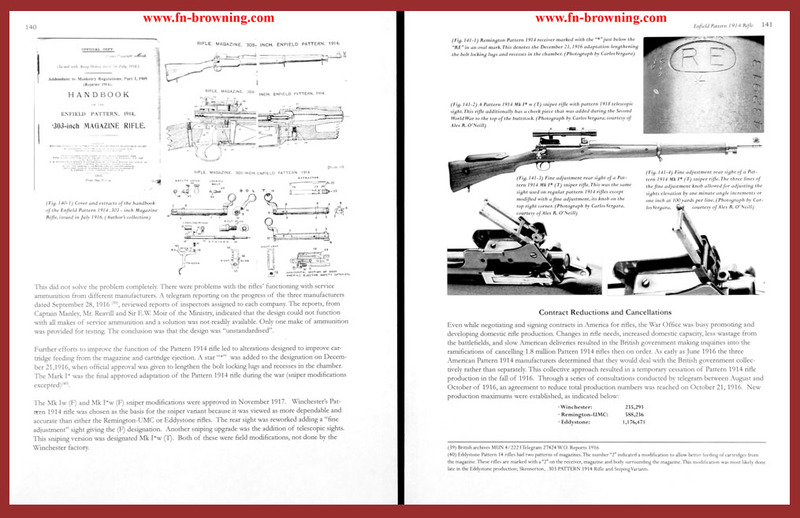 Allied Rifle Contracts in America is the first work to fully explore American production of foreign military rifles for the Allies during the First World War. The demands of the war caused a number of Allied governments to enter into contracts with American industry. These contracts resulted in the production of a number of different rifles. 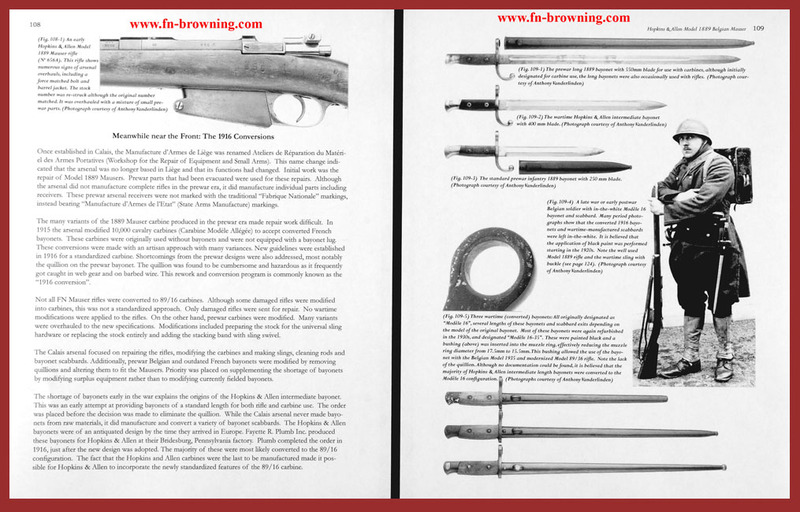 Featured are the histories of the Mosin-Nagant and Winchester Model 1895, which were produced for Imperial Russia, the Model 1889 Mauser, made for Belgium and the Pattern 1914 which was built for the United Kingdom. 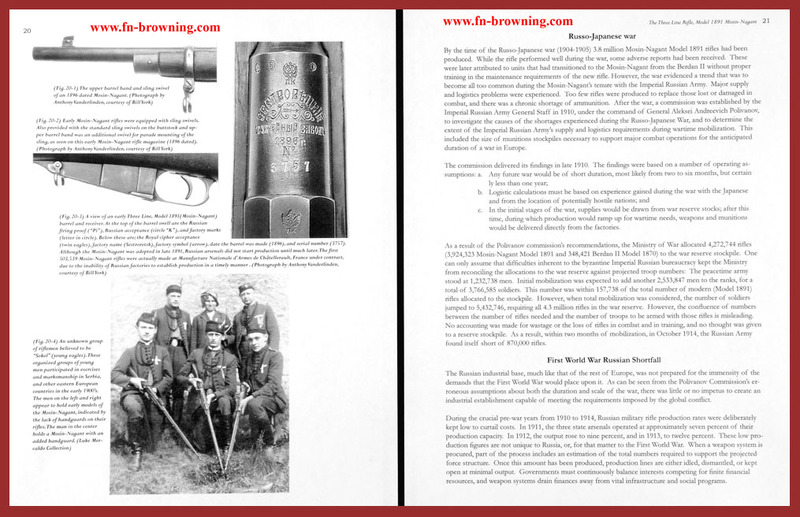 Additionally the book provides rare insight into lesser- known contracts for Berthier and Rolling Block with France, and the Savage Model 1899 with Canada. The historical circumstances of these contracts are presented for the first time. 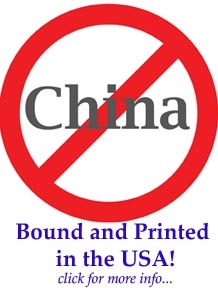 Primary source materials and original period documentation were used to recreate the timelines of the various contracts, delving into issues including financing, production limitations, labor problems, factory expansions, corruption, and the foreign military personnel who worked in the United States. 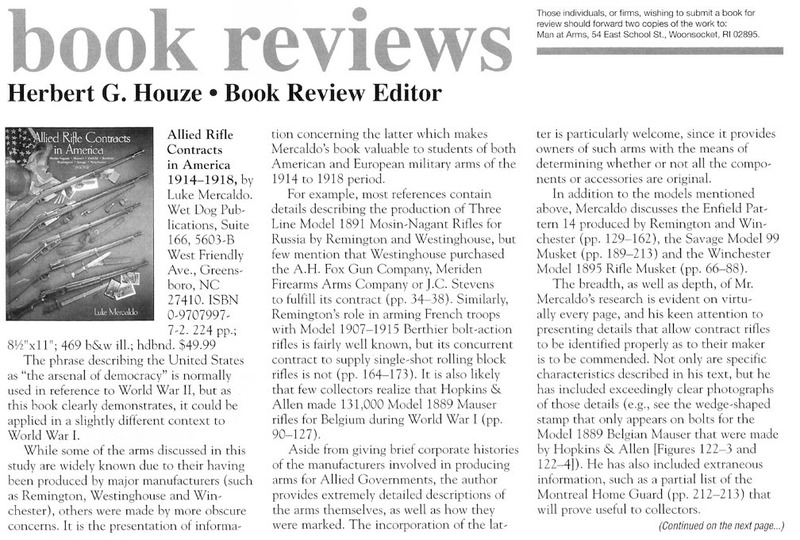 The work sheds new light on the degree to which American business was involved with the Allied war effort prior to the American entry into the war in 1917. Readers gain a multifaceted insight into the hurdles that faced the Allied purchasing commissions and American manufacturers. 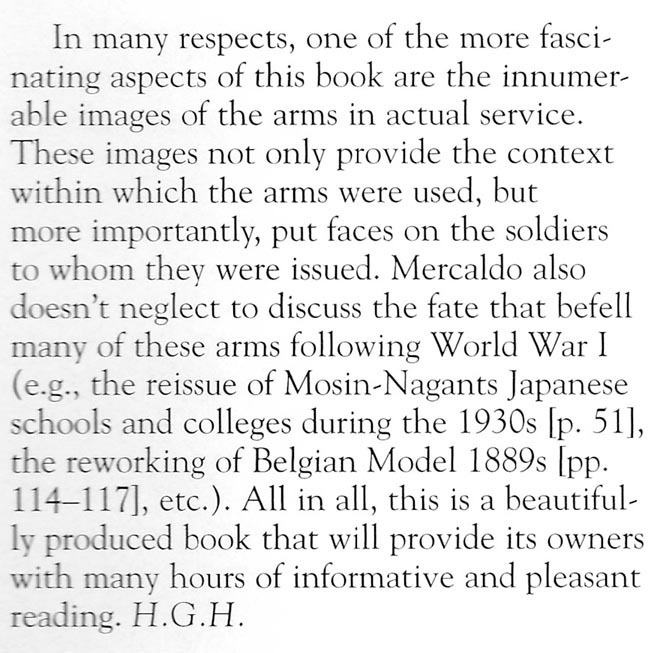 In addition to the in depth historical perspective, the book offers a detailed description of each rifle intended as a guide for the arms collector. This analysis covers features, specifications, markings and accessories to assist collectors in determining correct period pieces and understanding the fascinating history behind the artifacts. 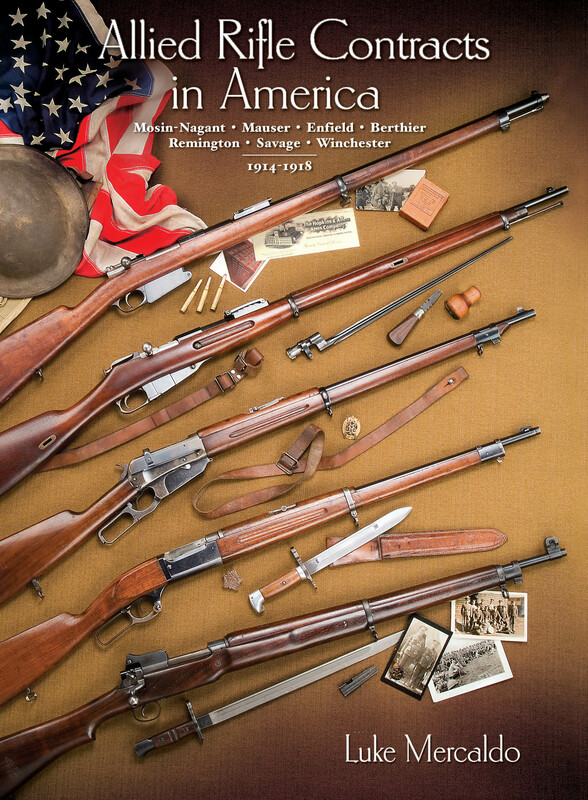 Allied Rifle Contracts in America is a fascinating blend of history, economics, technology and esoterica that is an essential part of any historian’s or collector’s library. Scroll down for sample pages, awards and book reviews. 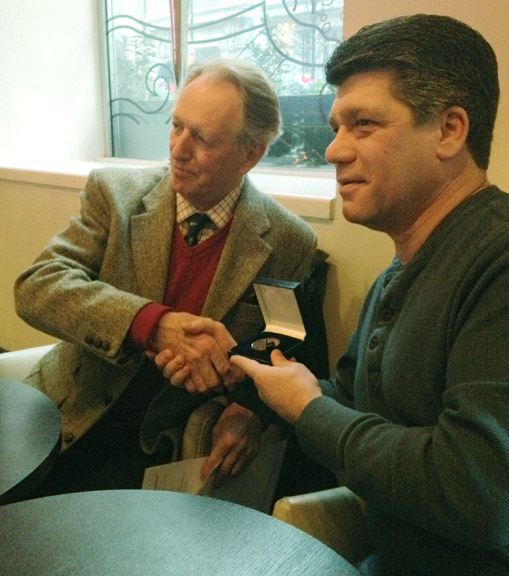 Derek Stimpson, Chairman of Council of the Historical Breechloading Smallarms Association, (left) presents the golden medals to Luke Mercaldo in London in January 2013. The President's cup is awarded to the best published work of study or research which contributes to the expansion of knowledge and understanding of breech-loading arms. Luke Mercaldo and co-authors Adam Firestone and Anthony Vanderlinden received gold medals for their work on Allied Rifle Contracts. We thank the HBSA and council for their recognition! Dear Luke, I opened your package with a great deal of anticipation, hoping that the finished product mirrored the sample pages seen on-line. 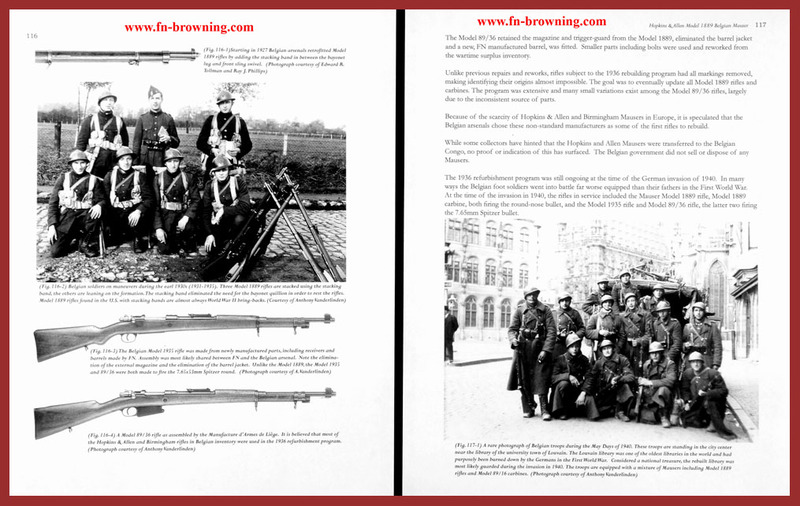 I was not disappointed, your finished product is just wonderful... and packed with new information on Allied Rifles used in World War I, and with dozens of previously unpublished photographs. You, Adam and Anthony are to be commended for bringing such a well needed book to historians and military buffs alike. I predict that it will remain "the bible" on the subject for many years to come. I am pleased to have been helpful to you in this endeavor and the Remington Society of America will endorse your book as a quality and well-researched book for our members. Congratulations on such a wonderful achievement.